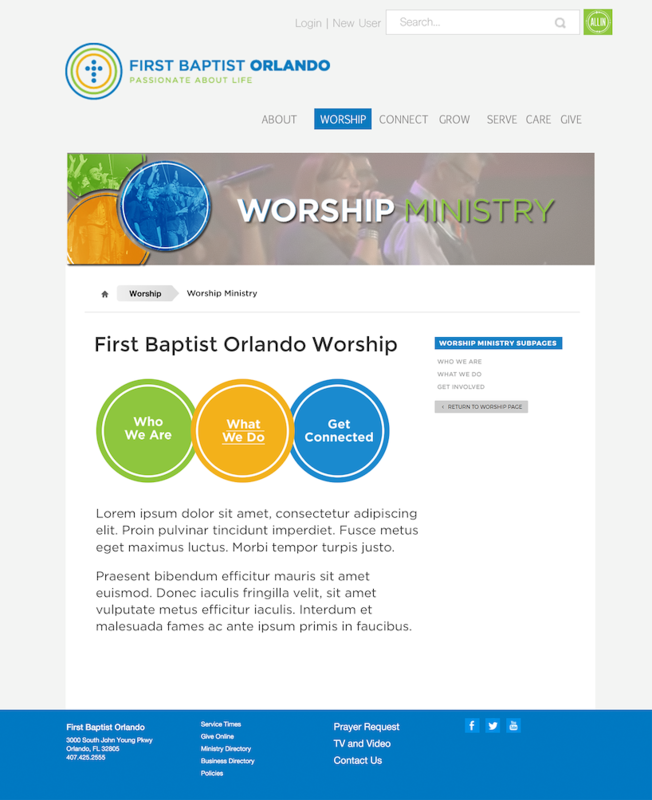 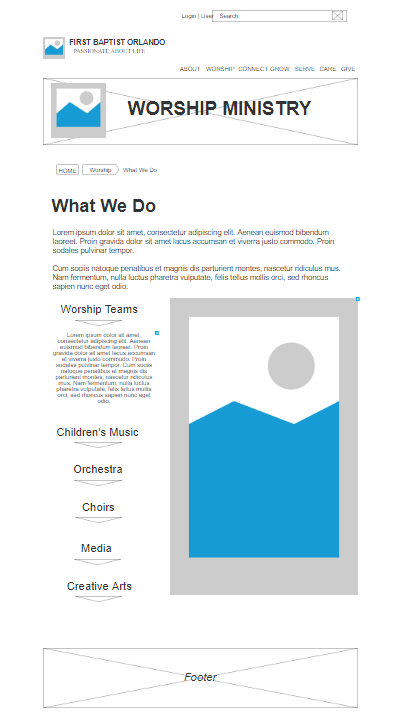 I worked with a First Orlando worship & volunteer ministry director to refresh and condense the existing set of webpages – housed within the main church site which also showcases the church’s numerous other focused ministries and programs. 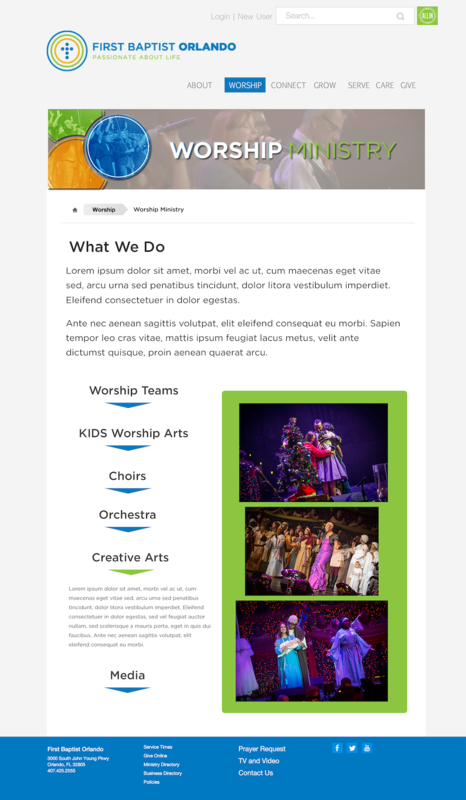 Overloaded with dead links and nearly impossible paths to the critical information, the site would be stripped of excess pages and content that could rewritten and merged or accessed via other live contact methods. 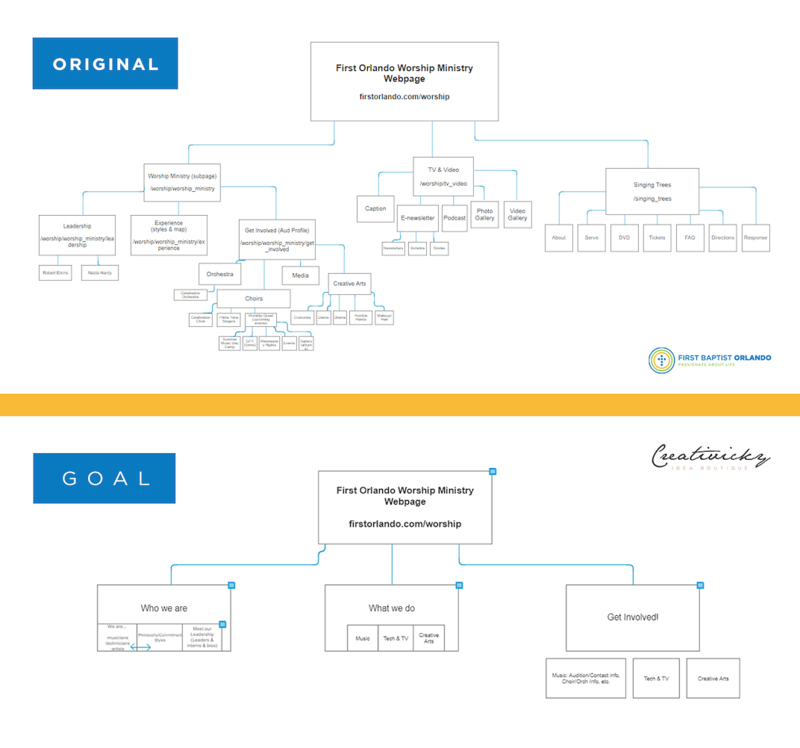 Upon studying and evaluation of the target user, rough personas were developed as well as sitemaps illustrating the original layout alongside a much smaller goal sitemap. 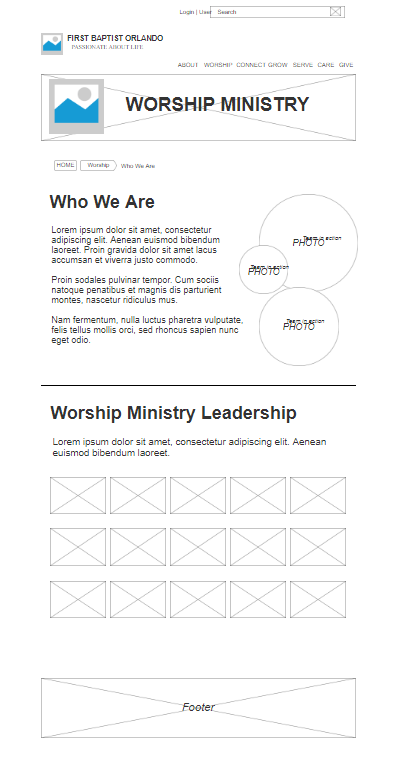 I produced wireframes, mockups and eventually a working prototype, which then allowed some basic user testing and reiteration based on those results.